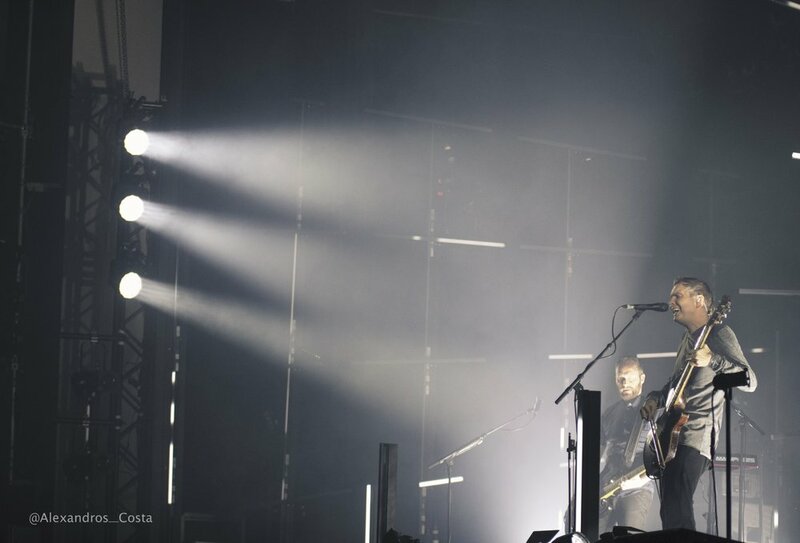 The three members of Icelandic post-rock band Sigur Ros took off on their current tour on mid September and they did so without the help of backing musicians, as had been their usual custom for a world tour, and without keyboardist Kjartan Sveinsson, who left the group back in 2013. They played two dates in Glasgow at the SEC Armadillo. They put on a second show on 25th September due to popular demand. Instead of travelling with a support act or their usual accompanying orchestra, The bassist, Georg Hólm, drummer Orri Páll Dyrason and frontman Jónsi Birgisson have elected to perform two distinct “sets” with an interval in between and immersive, noise-reactive light display. The band is world renowned with multiple hits and with a following of 1.7million people on social media , the band has also sold out shows across their tour.